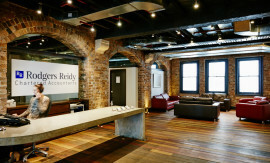 Echoing the strong parallel lines of the warehouse conversion located in Chippendale, Sydney Australia. 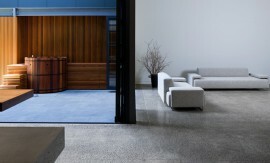 Concrete by Design created this stunning 7.8m long piece. 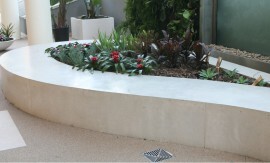 Featuring a 150mm thick form and pour on site with an artisanâs touch, steel trowel finish. 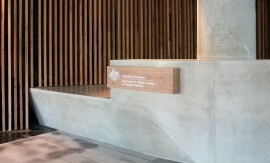 The intricate formwork realises the Architects design, featuring water fall ends and a unique step creating two âzonesâ within the bench-top. 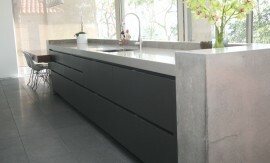 The void under the âstepâ creating a sense of space and flow, providing relief to the strong lines of the industrial landscape in which this benchtop resides. 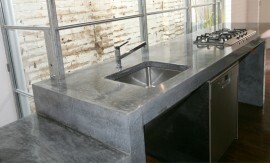 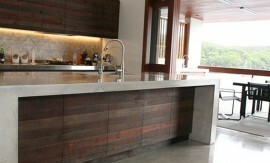 In addition to the hero piece, Concrete by Design also created an outdoor BBQ, Hearth and Bathroom Vanities.